Six employees of the US embassy in Kabul have been dismissed for using or possessing drugs, an official said. 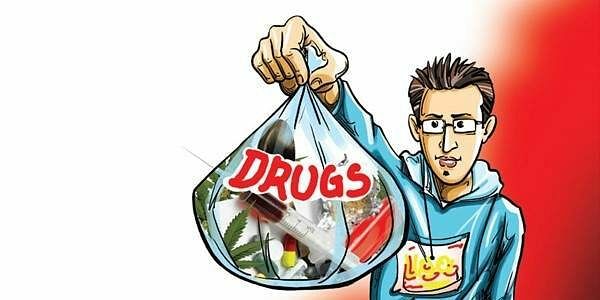 KABUL: Six employees of the US embassy in Kabul have been dismissed for using or possessing drugs, an official said, in an embarrassment to Washington which has splurged billions on Afghan counter-narcotics efforts. The sacking followed an embassy investigation after staff noticed a person wandering around the premises "in a state of confusion and appearing to be intoxicated", the Wall Street Journal reported earlier this week. "We can confirm that six individuals were involved and that all of them were contract employees," the US State Department told AFP late Thursday. "No State Department employees were involved in the incident." It was not immediately clear what kind of drugs the employees were using. Over the last 15 years, the US government has spent billions of dollars on a war to eliminate drugs from Afghanistan, but the country still remains the world's top opium producer. Opium production is a major source of income for the Taliban insurgents. Last year, Afghanistan saw a 10 percent jump in opium cultivation compared to the previous year because of bumper harvests, collapsing eradication efforts and declining international aid to combat drugs, according to the United Nations.